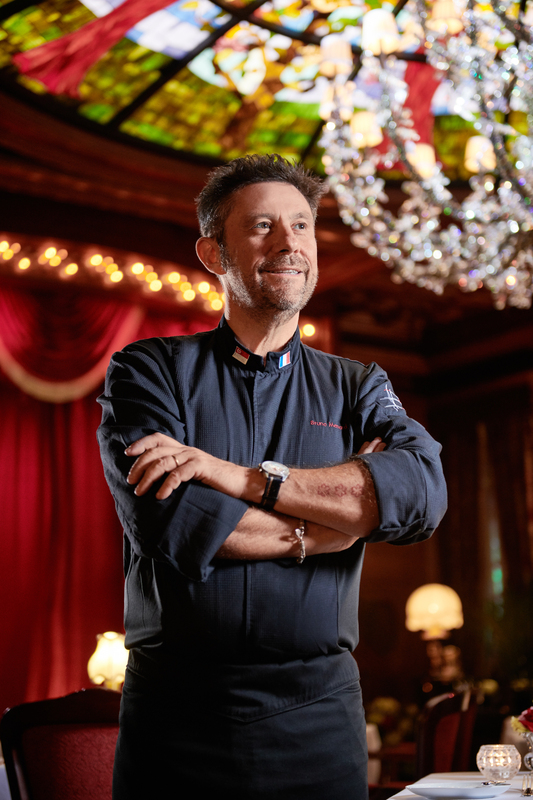 Having discovered his love for cooking at a young age, Chef Bruno was heavily influenced by his family who worked in the food and beverage industry for more than 100 years. In particular, his father, a famous chocolatier in France, nurtured and helped him hone his passion and talent for cooking over the years. As one of the youngest chefs in France to gain the score of 17/20, Chef Bruno obtained three “toques” in the Gault-Millau Guide by the age of 28. Prior to joining the JUNON culinary team, Chef Bruno worked at The Dining Room at Ritz Carlton Buckhead in Atlanta, Georgia, an establishment that was one of 14 restaurants in North America to receive 5 stars by the Mobil Travel Guide and 5 diamonds by the American Automobile Association. It was later at L’Osier in Tokyo, one of nine restaurants in Tokyo awarded with the coveted 3 stars recognition, that Chef Bruno earned his distinction as a former 3-Michelin Stars Chef. L’Osier was awarded with this prestigious award straight after the first edition of the Michelin Guide Tokyo was launched. Since his time at L’Osier, Chef Bruno launched his own culinary consulting firm, Bruno Ménard Pte. Ltd, and out of the base country of Singapore, he has provided expert consultation to renowned restaurants across Asia. A TV personality, Chef Bruno is one of the three judges on the hit show, MasterChef Asia. He also created the Bocuse d’Or Academy Singapore and was nominated as the President of Bocuse d’Or Asia Pacific. 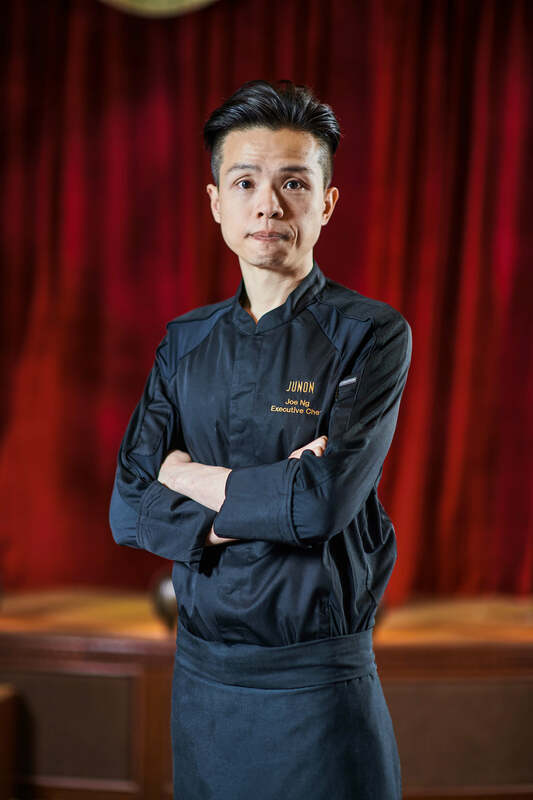 It is the harmonious union of music and food that enticed Chef Bruno to join the team at JUNON – his first foray into the Hong Kong culinary scene. Inspired and impressed by the unique concept of combining live music performances with fine-dining cuisine, Chef Bruno will craft seasonal menus for JUNON and source premium quality, fresh ingredients from Hong Kong and around the world. 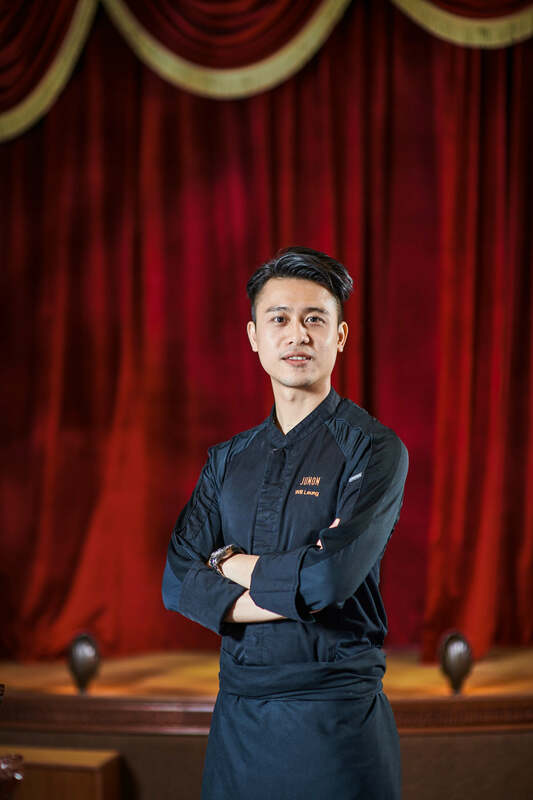 With 20 years’ experience in top culinary establishments that include 5-star hotels and other Michelin-starred restaurants in Hong Kong, Macau and Paris, Joe is a passionate and ambitious culinary professional. He is eminently skillful in adding in Asian spices to the French cuisine. Joe has extensive experience in restaurant management, and he was conferred to be a member of “La Commanderie des Cordons Bleus de France” in 2015, and achieved Certificate in Business Grow Strategies at University of Pennsylvania. A devotee of cooking and photography, Will Leung’s professional capabilities fall squarely on his aesthetic sense, food aroma and interesting flavours. Previously worked at 5-star hotels and top restaurants, he is widely hailed for blending both Japanese and Western food ingredients, as well as superior French cooking skills.